It's BDC Small Business Week and we're honoring the small and medium businesses that keep our economy growing. To celebrate we're passing some Small Business Week Savings onto fellow Small Businesses. A Saskatchewan-based clothing company is taking off in Western Canada. 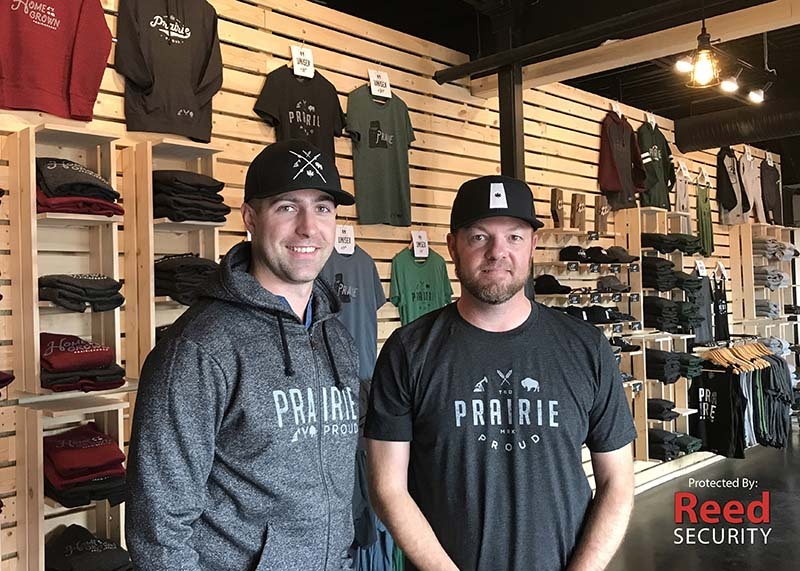 With its logos making their way across the country, Prairie Proud is living up to its name. 1. How did you find out about Reed Security? As a resident of Saskatoon for the last 8 years, I have become aware of Reed Security and its offering. Most notably, Reed Security proudly provides the security system for IDEAS Inc. in which my business (Prairie Proud) operates. 2. What solution did you install? Why? As a growing local retailer, we wanted to legitimize our security in an effort of loss prevention. I decided to install a REED HD Bundled Solution which includes 3 cameras in addition to moving our motion detectors into locations of high traffic which are clearly visible. This bundle solution coupled with mobile access has provided peace of mind as an entrepreneur. 3. Is the solution meeting your expectations? Yes, I have been very happy with this solution. 4. What features do you like about the solution? Personally, the mobile access is a game changer for someone like me; many aspects of my business are run from my phone and the fact that I can now monitor security from the palm of my hand is a reflection of business in the 21st century. 5. Would you recommend Reed Security to others? Why? Yes, I would definitely recommend Reed Security to others; the service provided was excellent and supporting other local businesses is part of our philosophy. 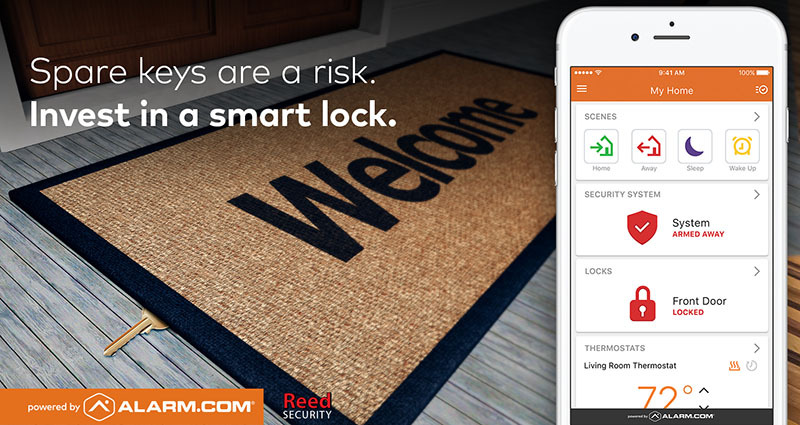 THE SMARTEST SECURITY & AUTOMATION SYSTEM JUST GOT SMARTER - $0 INSTALLATION ON NOW! The award winning IQ Panel 2 is a 7” HD touchscreen with built-in 5MP camera and multiple wireless radios including LTE, Wi-Fi ac, Z-Wave Plus, BLE and the new S-Line secure 319.5 radio. Leveraging the power of Android 5 and the QualComm Snapdragon SOC (system on a chip) the IQ Panel 2 includes a built-in router, custom text-to-speech, and a clean, elegant, modern user interface. The IQ Panel 2 keeps you connected to an entire ecosystem of smart devices giving you control over your entire Home or Small Business. 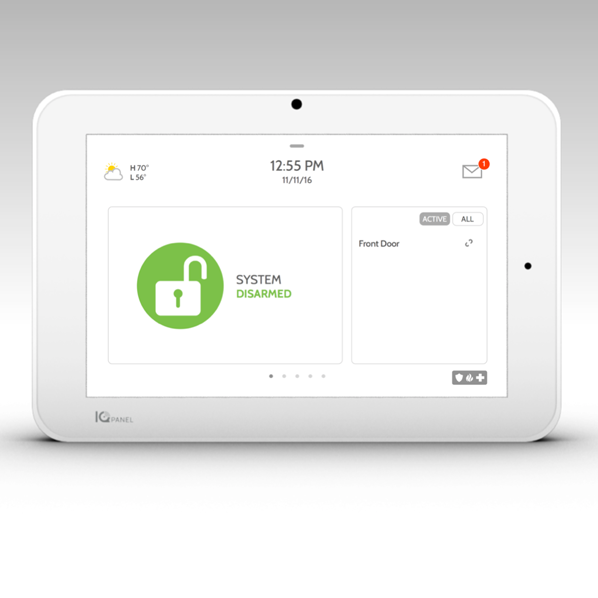 Access and control your entire Home or Small Business from the IQ2 Panel. Turn lights on or off, activate your security system, lock and unlock doors, and adjust your thermostat. When not in use, your panel turns into a customizable photo frame. When deactivated it takes photographs of the person who used it, and because it's built on android it stays updated with latest software. 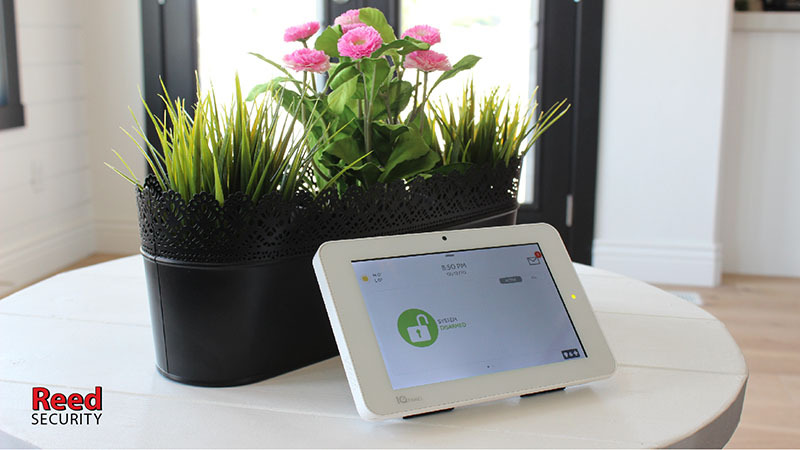 Its the easiest to use smart security and automation system you'll ever use. It's never been easier to Upgrade, Switch Over from a competitor or install a New Smart Package at your Home or Business. *Some conditions apply. Monitoring agreement required. We do not provide pricing on our web site or over the phone. Instead we offer a No Obligation, Free Security Evaluation with a Reed Security Consultant. 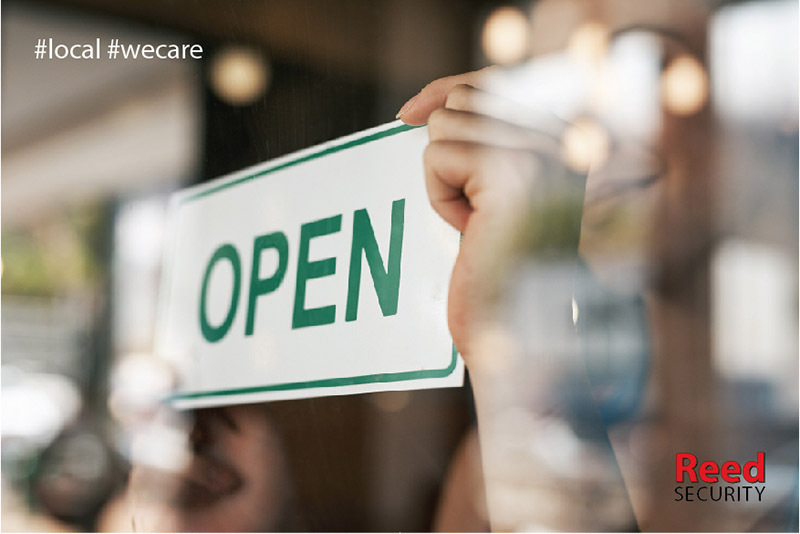 We carefully listen to your needs and wants and walk through your Home/Business and point out how intruders can gain access and how our solutions can help you. Then we share options on How to Properly Protect You and Help You Feel Safe. It only takes 30 minutes. 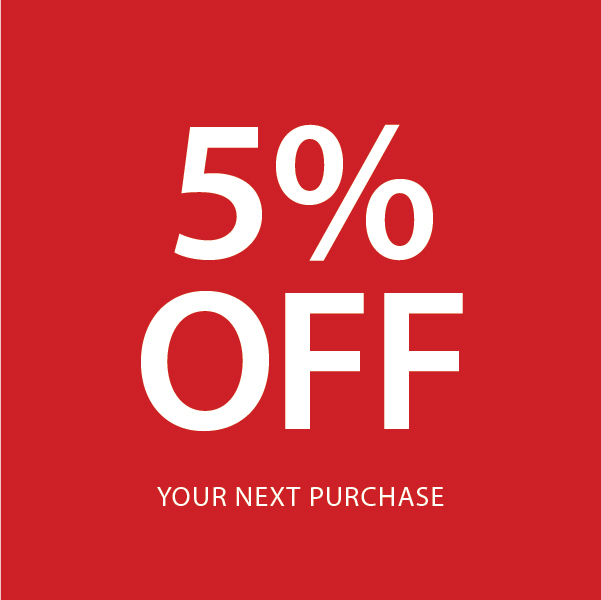 SUMMER SALE ON REEDHD WI-FI DOORBELL CAMERAS! 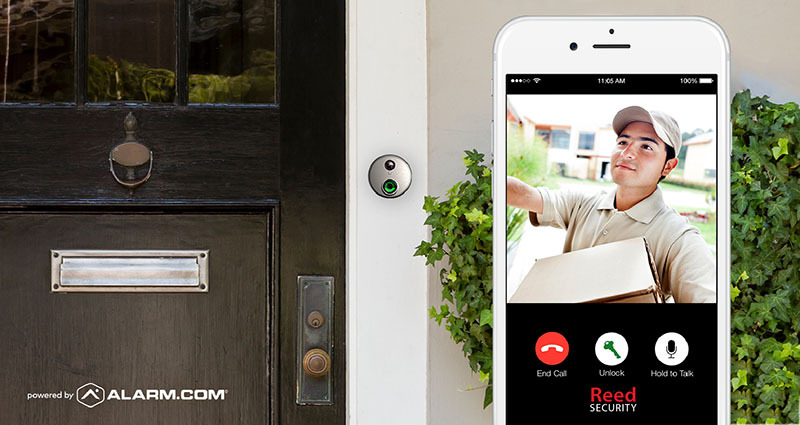 Our ReedHD Wi-Fi Doorbell Cameras help you feel comfortable when your kids are home alone or when you are travelling. 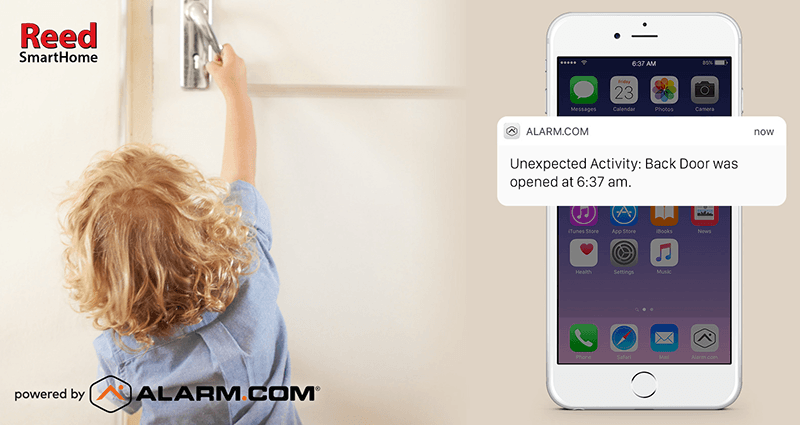 When a Visitor presses the smart doorbell a live feed alert is sent to your smartphone via the alarm.com app. Once you receive the live alert you can See and Talk To the Visitor at the Front Door (or other protected doors). Live Video is also recorded to the alarm.com cloud for easy retrieval. Want more coverage? You can connect additional ReedHD Cameras to the interior and exterior of your home for increased protection. Heading on summer vacation? There's nothing worse than coming back to a home that had a break-in. Here's 20+ Summer Security Tips you can implement to protect your Home and Property while you're travelling. 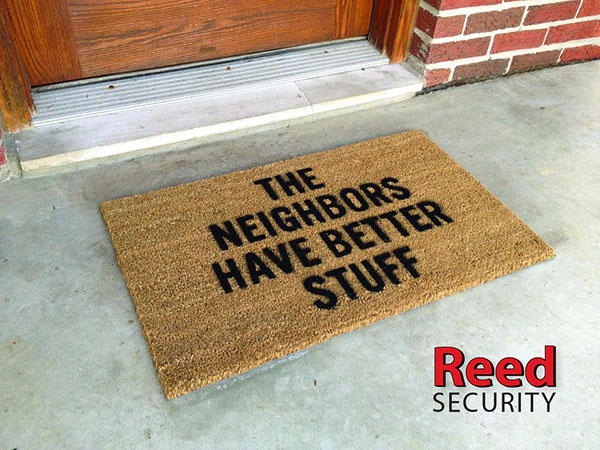 You're Going to Need More Than a Funny Welcome Mat to Prevent a Break-in!